Wakelock. New to android help me understand please. 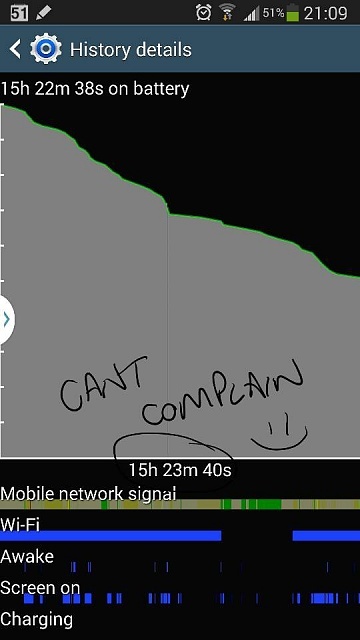 I'm not having bad battery issues or anything. But thought I would use the wakelock to explore and try learn about my device. Can anyone explain why I have a sound thing waking my cpu? I have no music on the device. So what's causing it or is it normal? Were you watching videos, or playing games, or did you put a micro SD card in? Anything like that could cause that process to run. Had a sd card in since new 3 weeks ago. I'm no video other than youtube the other day. I did buy a s view case yesterday and bumped play on the stock app. Only song I have is that samsung demo song. I stopped it straight away and held the home button and cleared the program from the list. That's the only stuff I can think off. Although would tune in radio use that process? Well I can't complain about this usage. Line at 70% shows a restart when I installed wakelock app today to get a measurement. 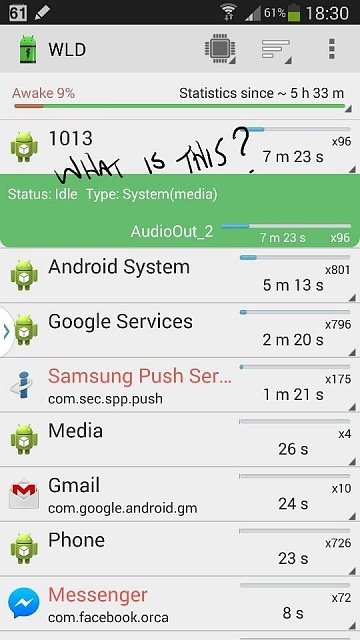 The audio_out2 wakelock is on always when the phone sends audio out, I think, and sometimes it just keeps going. I don't either see it as a huge battery killer but restarting your phone stops the wakelock. How young is too young to text? Alternative way do download to micro sd? Andrive car unit. Help needed!